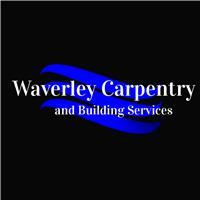 Waverley Carpentry & Building Services - Bathrooms, Bedrooms, Carpenter, Kitchens based in Gosport, Hampshire. Hi Welcome to my checkatrade page, I'm a fully qualified carpenter and joiner With over 25 years experience in the carpentry and building trade, fully qualified with NVQ level 1-3 in carpentry and joinery, I learnt my trade as a carpenter and joiner at the unicorn training centre Highbury college in Portsmouth. Over the years I have learnt and picked up various trades in the building industry. I also spent 4 years as a yacht joiner with a keen eye for detail. Waverley Carpentry and Building Services is providing a service to the general public, we pride ourselves on excellent quality of workmanship, we take pride in fulfilling our customer needs and requirements and go that extra mile to achieve a high standard of works with attention to detail. Our work comprises of all aspects of carpentry, flooring, kitchen fitting, bathroom installation, general plumbing, all aspects of tiling from ceramic to porcelain, painting and decorating, outside timber decking and many other types of building services.